Unstringing the Bow: Heidelberg Sketch. 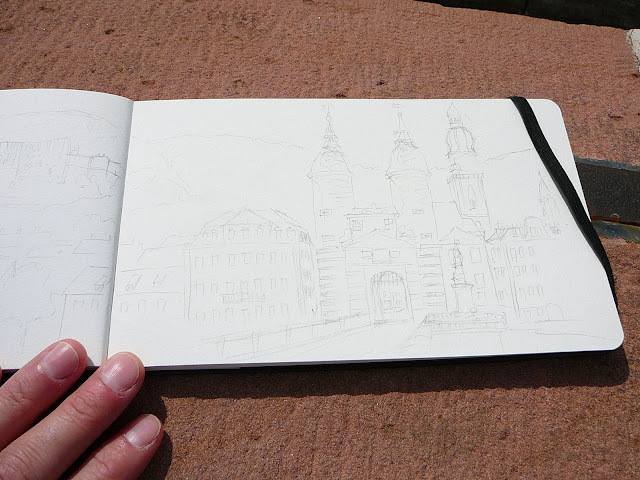 I was in Heidelberg this morning (16.05.09) and had time to do a sketch. I was in town to attend a meeting yesterday and had some free time this morning. 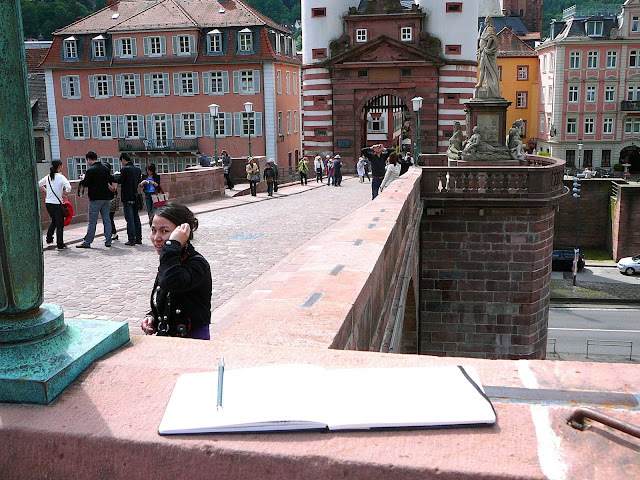 This is a shot of my sketchbook at the spot where I did my pencil drawing. First I did a quick sketch in pencil (see below) and then I darkened it with my pen. I did most of the penwork at the train station while waiting for the train home. Close up of my pencil work. It was fun to stand on the bridge and draw. Several people sneak up and take a look over my shoulder. Lots of tourist in town today. Americans and Japanese.